and help raise needed dollars for Wellspring London! Boardwalk’s Walk for Wellspring is not about how far you can walk or run. 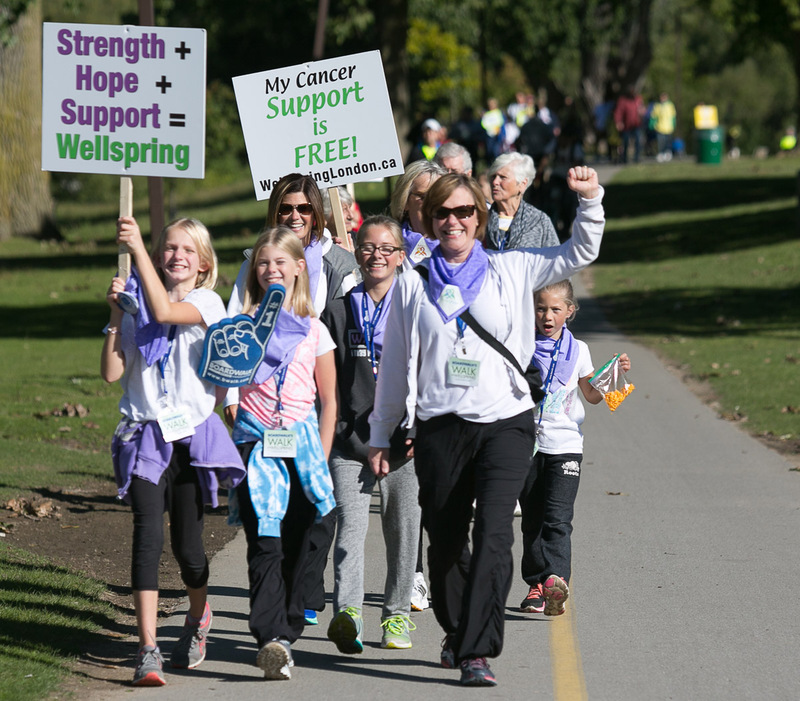 Our Walk is about supporting those who are going through the cancer journey – from diagnosis to survivorship and in some cases, to honour the memory of those we have lost. This year the walk will be held on Saturday, September 8th, 2018. Participants can walk, or run their way through a beautiful 5km route along city streets and parks. Think about forming a team with friends and family. Not up to walking? Join us at the Citi Plaza for the morning and make a donation or pledge someone else. This is one of Wellspring’s signature events and we need your support. Sign up today with your team or as an individual to participate! Once registered,you can login to your account to customize your Personal & Team Donation pages; send emails; manage offline pledges; and view the status of your Personal & Team fundraising efforts.